The CTA national Tipping Point Tour this year features Fr. Tony Flannery, the pastoral, thoughtful, inclusive and engaging priest who heads the Association of Catholic Priests in Ireland and supports a Vatican II Church. He is appearing in only 15 venues throughout the US, the closest to us being Syracuse on Wed. Oct. 29 at 7 p.m. Upstate NY CTA is hosting this event. A bus from Albany has been reserved for anyone from our area interested in attending his free talk. Please send $30 per seat in a check payable to Steve Powers. It MUST be received by Wednesday, Oct. 22, when the decision to run or not run the bus will be made. Please include your address, telephone # and e-mail (if possible) for updates. Don’t put this off. List will be made in order of checks received. Hope you can join us for this informative evening. is proud to announce Fr. Tony Flannery will speak in Syracuse, NY on Wednesday Oct 29, 2014. This event on the national speaking tour is hosted by Upstate NY CTA. In February 2012 Tony Flannery, a Redemptorist and founder member of the Associ­ation of Catholic Priests in Ireland, bestselling author and regular columnist with Reality magazine, was informed that the Vatican watchdog, the Congregation for the Doctrine of the Faith (CDF), was unhappy with some of his writings relating to the priestly ministry in the Church. Tony was summoned to Rome and told that until he revised his views he would not be allowed to minister as a priest or have any dealings with media. He was to step down as leader of the ACP. Although he offered a statement of clarification and it seemed as if the matter were closed, a few months later the CDF made further demands that were unacceptable to him. He was required to issue a statement that he accepted all the moral teachings of the Church and that women could never be ordained priests. The CDF forbade him to return to priestly ministry, or be involved with the ACP, until he agree to publish this statement. He was put under ‘formal precept of obedience’ not to attend the AGM of the ACP (He did attend it.). During the time in question, the greater part of a year, the CDF never communicated directly with Tony Flannery. Documentation came through Michael Brehl, leader of the Redemptorists. It was on typed A4 pages without heading, stamp or signature. The CDF warned him about the need for total secrecy and threatened with excommunication and dismissal from the Redemptorists. 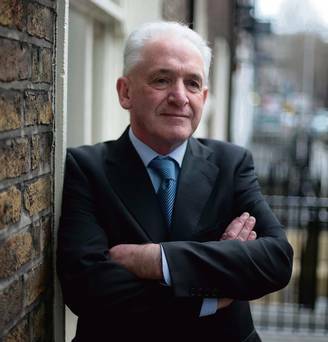 Tony Flannery became convinced that he would never be allowed to return to ministry and that the real target of the CDF was his role in the Association of Catholic Priests. He went public on the matter in January 2013. A Question of Conscience (2013), which reproduces the CDF documentation relating to this case, provides conclusive proof of the Vatican’s determination to stamp out what it regards as dissent, no matter how unjust and devious the methods it uses. All CTA members and friends are encouraged to attend this exciting talk at the May Memorial Unitarian Universalist Society in Syracuse. Good will offering will be asked. Fr. Tony Flannery is an example of what a priest should be: a pastoral, thoughtful, inclusive and engaging leader, yet he’s been bullied by the Vatican for working to revitalize our wounded Church. We are inspired by Fr. Flannery’s determination to make Vatican II reforms a greater reality in the Church and excited to hear more about how lay people and priests can work together to co-create the Church we believe in. The Church we deserve. The institutional Church has tried to silence Fr. Flannery and has suspended him from his ministry claiming his writings were in conflict with Catholic teaching. Yet Fr. Flannery has refused to violate his conscience or abandon his work for justice in the Church he loves. We too face pressure from the hierarchy to quietly acquiesce, but we know our Church needs members who believe it can be better. We are proud of our history and inspired by the many saints who questioned authority, stood strong for what their conscience told them was right and demanded dialogue over unjust punishment. For our Church to regain its vitality, we need to join together to honestly discuss the issues and work to make our Church a more open place. The Catholic climate has changed. Priests are organizing, sisters are speaking out, and the laity are assuming their rights as expressed in Vatican II. We are ready to work together to transform the Church. We are ready for the Catholic Church to embrace the radical notion of dialogue. The Catholic Tipping Point speaking tour is co-sponsored by 11 lay-led Catholic organizations, including Call To Action, Dignity and Women’s Ordination Conference. We have joined together to bring Fr. Flannery to audiences of progressive Catholics and advocates of a more open Church across the country. This is the second national tour which the coalition has organized to discuss the future of ministry and leadership in our Church. Like many of his generation, Fr. Tony Flannery began his journey to priesthood as a teenager in the 1950s and has been a faithful servant of the Church ever since. As a young priest his formation was infused with the values and spirit of Vatican II, and it is in that spirit that he continues to advocate for a Church that is in step with the modern world. He is “one of many Catholics who claim the freedom to find God and proclaim the God they see in the community, rather than serving a God of clerical systems and canonical limits,” writes Anthony Padovano in his book review. In 2012, the Congregation for the Doctrine of the Faith demanded that Fr. Flannery step down from leadership at the Association of Catholic Priests and sign an oath agreeing to official Church teachings about contraception, ordination, homosexuality and the inability of women to be priests. He refused. The CDF tried to silence Fr. Flannery but he has continued to lead the ACP, which stood with him, and to speak out for Church reform through his book, speaking tours and interviews with the media.